Turkish President Recep Tayyip Erdogan has suggested Turkey could hold a referendum over whether to continue its long-stalled accession process to join the European Union, Hurriyet reported. Angrily lashing out at the bloc’s treatment of Ankara, Erdogan said Turkey could hold a referendum along the lines of that in Britain, where voters are deciding on June 23 whether to stay in the European Union or leave, according to Hurriyet. “We can stand up and ask the people just like the British are doing,” Erdogan said in a speech late June 22 at a fast-breaking dinner, quoted by the state-run Anadolu Agency. 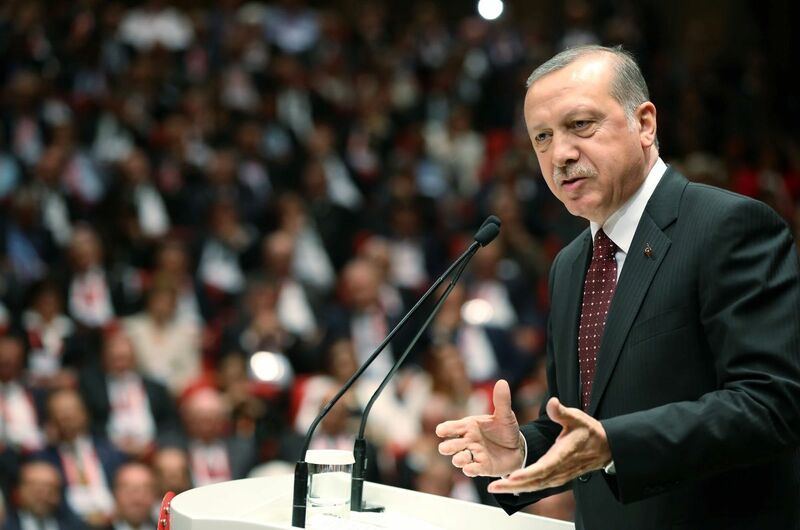 “We would ask, ‘Should we continue the negotiations with the European Union or should we end them?’ If the people say ‘continue,’ then we would carry on,” Erdogan said. Erdogan said Turkey had been promised membership in 1963 but that nothing had happened despite the passage of 53 years. “Why are you stalling?” he asked. Ankara and Brussels inked an association agreement for the first time in 1963, asserting that Turkey would aim to become a member of the bloc. After applying in 1987, Turkey began EU accession talks in 2005 but its membership bid has been held up by an array of problems, particularly Turkey’s slide toward authoritarianism. Read alsoMartin Schulz: Turkey on way to becoming "one-man state"With the question of Turkey’s possible membership being raised in the British referendum, Ankara has been angered by comments from London suggesting that it has no realistic chance of joining the bloc in the medium term. During the campaign, Prime Minister David Cameron said Turkish membership was not “remotely on the cards” and may not happen until the year 3000.